For those new to digital marketing, it is easy to make the mistake of believing that PPC and SEO marketing are one and the same. However, this simply isn’t the case as, while the two can complement each other, they are two separate campaigns and should be treated as such. Many businesses, small and large, benefit from running PPC advertisements via AdWords in order to boost traffic and gain quick wins during seasonal periods, or just to simply get the project off the ground. PPC campaigns almost always run alongside an SEO campaign and if they are not, they should be! While AdWords can produce quick results, it should not be used as a business’ primary source of lead generation. If you are a small business looking to generate as much exposure as possible, this is where PPC advertising works best. While your website may not rank organically amongst some of your more established competitors, a PPC advert can place your brand name above all others. However, there are other factors that have to be taken into consideration as it’s not as simple as paying a set fee for your advert to appear right at the top of the page. Google only wants to show quality and relevant content which means that work has to be put into ensuring that your PPC adverts compete. AdWords works on a cost per click basis and much of the positioning comes down to bidding. On each campaign, the user is able to set a maximum bid for each advert – Google will recommend a minimum bid which has been worked out through their algorithm as guidance. To put it simply, the more competitive the search term, the higher the bid has to be. This is why keyword research should be undertaken before launching any campaign. Whereas PPC will help to generate quick wins and exposure for your brand, it shouldn’t be relied on for the long-term – at least not as a definitive. PPC works best when running alongside an SEO campaign that, over time, will begin to yield organic results, thus reducing the dependency on AdWords. The main difference between PPC and SEO services is that SEO is more of a waiting game than PPC, but is certainly more sustainable. Optimising a website from both an onsite and offsite perspective to rank for a number of keywords can take time, again depending on how competitive the search term is. Again, this is where keyword research comes into play as you may otherwise find yourself targeting search terms that are either overly competitive or see little to no traffic, thus rendering your work pointless. By optimising your website to rank for carefully selected keywords and variations, over time – this could take days, weeks or months – you will notice an upward trend in organic traffic. At the point that organic traffic begins to overtake paid traffic, you can begin to scale down your PPC campaign, although you don’t have to turn it off altogether. There is a reason why businesses still continue to utilise AdWords after their SEO campaign begins to yield results of its own. Some like to have another source of lead generation, while others make use of PPC campaigns to push seasonal products or services. e-Commerce websites, for example, are constantly forming new campaigns to coincide with their marketing calendar and content strategy. While groundwork can be laid via SEO for seasonal events such as Christmas, where spend significantly increases, PPC adverts help to generate converting traffic at one of the most competitive times of the year. Other events such as sales and product launches benefit from the additional boost that PPC provides. Within a main campaign, there are often numerous smaller campaigns that should be managed individually in order to see the desired results. An issue which affects many local businesses is that their digital marketing campaigns are not set up correctly and don't suit the right audience. Not only does this waste time, it also wastes money, which is something that a local business cannot afford to do. With a website set up to appear for the three different types of search queries – informational, navigational and transactional – you also need to consider its location. For example, a painter and decorator based in London could, in theory, rank for generic phrases such as ‘painter and decorator’ or ‘decorator’, but how many of the people who find their site will be from London? While some may be from London, the majority probably won’t be, meaning that the website is bringing in traffic that will not convert. With localised key phrases, such as ‘painter and decorator in London’ or ‘London decorator’, there is a much higher chance of relevant traffic reaching the website. How Can PPC Assist With My Localised SEO Campaign? The beauty of using AdWords is that the user has full control over their adverts and this includes the geographic location that is targeted. You don’t want to pay for someone outside of your remit to click your advert because it is money that you will never get back. Generally, localised keywords are easier to rank than generic keywords, but that doesn’t necessarily guarantee quick results as SEO should always be seen as a long-term solution that requires patience. As the SEO campaign gains traction and even after, depending on how competitive the search queries are, targeted PPC adverts can be beneficial. By targeting localised phrases with AdWords, you can expect the price of bids to be lower than for generic phrases. So, while PPC should still not be used as your business’ primary marketing medium on a localised basis, it does mean that continuing a PPC campaign will not be as much of a drain on the budget. 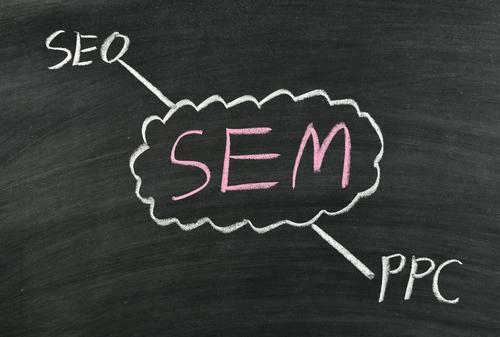 Overall, while PPC and SEO are different beasts, they more often than not go hand in hand with PPC complementing a larger SEO campaign. Ideally, the end goal is for businesses to rank high on Google and see a large amount of organic traffic with little reliance on paid search, which is used to get the ball rolling.